Let's get all gussied up! Maggie creates sassy, ruffly zippered pouches, clutches, totes, and more. 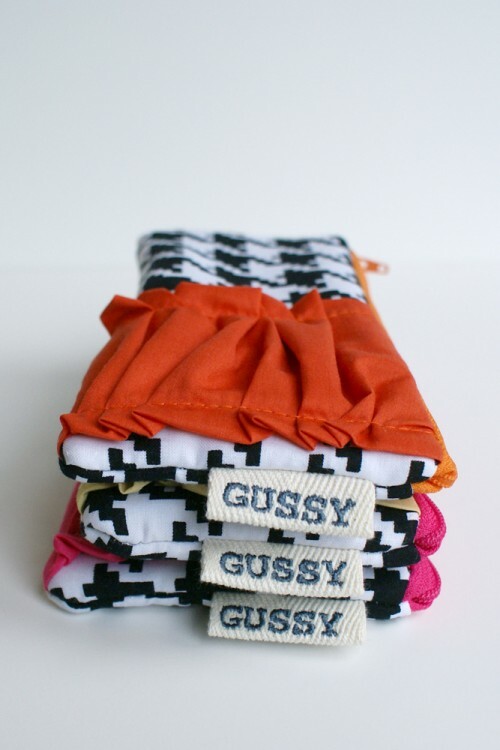 Gussy is giving away a $30 shop credit - in the words of Maggie - YEOW! 1. Leave a comment about your favorite accessory. 3. Follow Gussy and leave a comment here.